We take pride in keeping your bookkeeping up to date & in order, we remind you of deadlines & ensure your accounts are always up to date. Efficient and accurate payroll services by experienced & knowledgeable staff, ensures you meet all your PAYE and pension requirements. Peace of mind, value for money, an expert and professional team. We take pride in our work and care about the success of our client's businesses. Bookkeeping for today's businesses. Easy transfer, FREE to transfer your data and can be completed within 24 hours. Just what you need. Go paper-free with the records of all your purchases and business costs, never worry about missing receipts or bills again. That’s clever. Monthly management reports with the accurate financial knowledge you need to run your business and optimise its success. That’s added value. Our services provide you with more than excellent bookkeeping & payroll; pain-free reliable, efficient ways of working, saving you time and effort so you can focus on your business. "We have had the pleasure of relying on Norman Bookkeeping since 2012, and they have now become an integral part of our business. They allow us to concentrate and excel in other aspects of our day to day operations – headache free. 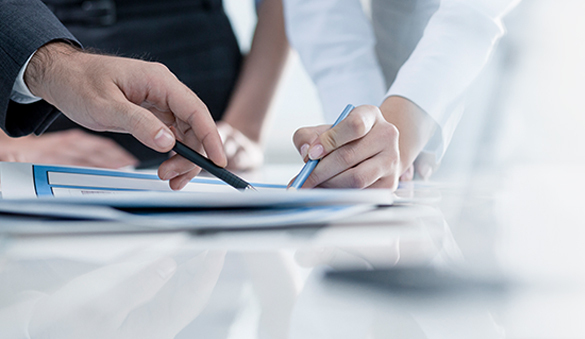 They are often on hand to deal with all of our accounting queries, whether it be a small reconciliation task, or indeed complexed management reporting. The team are polite, knowledgeable and always show a professional attitude in their service. They have taken the time to get to know our business, and have been flexible to work around our business times/demands. This has added much value and made us efficient in answering all accounting queries, clients, employees and suppliers alike may raise. Furthermore, their ability to manage our tight timescales and deal with last minute payroll amendments is truly first class. We no longer worry about the regular changes in legislation, as Norman keep us well informed of any changes and pending legal requirements. Norman are reliable, proactive and extremely well organised. Above all they DELIVER. I cannot recommend them enough. " "We have been using Norman Bookkeeping & Payroll for a variety of regular accounting services to support our in-house account staff since June 2011. They provide expertise and added staff resource in a cost effective way for our business. During this time we have been impressed with the level of customer service, speed of response and genuine passion for our business that Norman Bookkeeping & payroll have. They have developed good relationships with our staff and the customers with whom they have regular contact. 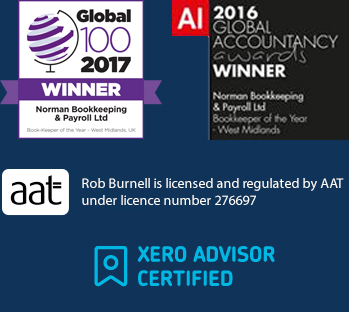 It is my opinion that Norman Bookkeeping & Payroll operate in an honest and transparent way, offering best advice and delivering services to meet their customers’ needs."